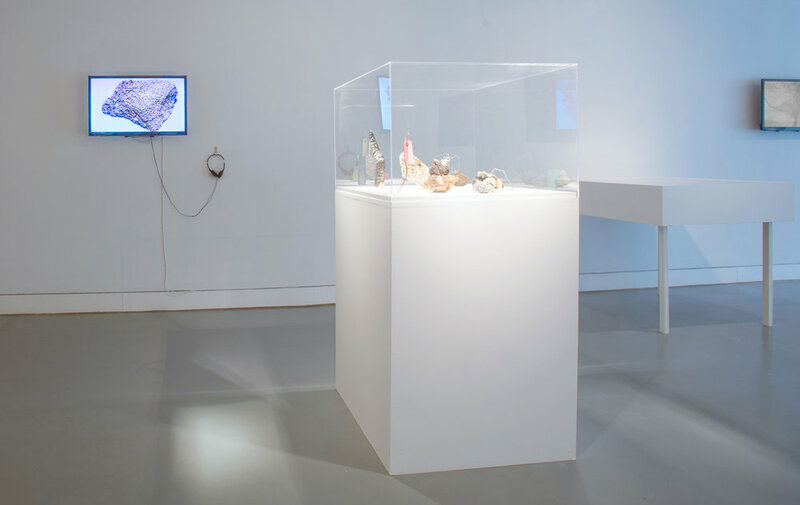 Geofictions is a solo exhibition of films, digital collage and sculptural installation situated within Tania Bruguera’s Office of Useful Art at mima (Middlesbrough Institute of Modern Art). The exhibition addressed the politics of site in relation to South Gare and the now-closed Steelworks in Redcar. The works were developed through a series of site-based workshops that excavated the entwined industrial identities of South Gare and its emergent ecologies of obsolesce and waste. Commissioned by mima and presented in Tania Bruguera’s Office of Useful Art from March – June 2017. Geofictions has been presented at Arts Catalyst, Ambika P3, (London), Art Houses Whitley Bay Film Festival, Postcards from the Anthropocene conference at University of Edinburgh, University of Lodz in Poland and at Writing with Undisciplined Discipline a collaborative project between Linkoping University in Sweden and KTH Stockholm.